Now with Steve Fearson's Vectra and FREE DVD! Imagine all of the routine possibilities with the New Locking ITR, finally we have achieved our goal of a practical locking ITR after 10 years of extensive research and development. The reel opens up many new doors of possibilities we have been limited with on the Original style ITR. Now the floating rose is easy and practical to set up in seconds! With no tension on the line you can easily do the animation, this was not possible with the original reels. Not to mention the hundreds of other routines out there that require no tension on the line. 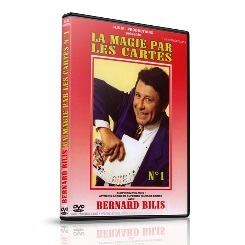 This has been the most requested reel from professional Magicians everywhere and finally we are happy to be able to make this available to you. This reel offers you hundreds of routine possibilities including all the routines you are currently doing with other fad thread gimmicks. There is a very good reason why we sell as many ITR's today as the first year it was released, it is reliable, it is practical and simple. No batteries and only one moving part make this reel the Magicians best friend! It is the Ultimate solution for your close-up Levitation needs, close up levitation was a nightmare prior to the release of the ITR, now it is simple, practical and proven itself over the last 18 years of success!